And it's not just because following a few tequila shots you show extra enthusiasm while throwing some shapes on the dance floor. 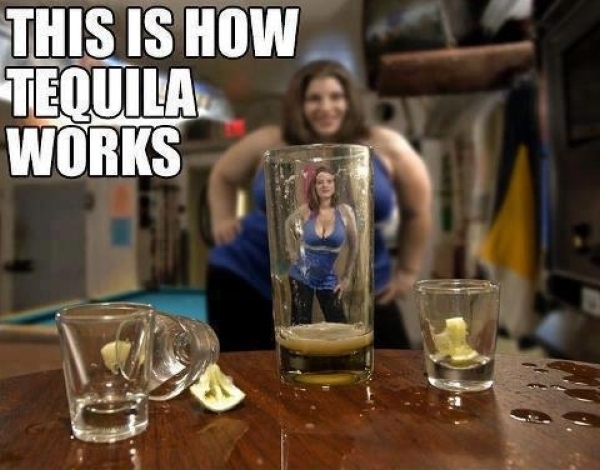 The American Chemical Society carried out some much-needed research into the effect of tequila on blood sugar levels, and actually discovered that sugars found in the agave plant - which is what tequila is made from - are non-digestible and therefore cannot raise your blood sugar level. To further this wonderful evidence, researchers carried out tests on mice. They found that the mice who were given a standard diet followed by water containing agavins had a lesser appetite than those who weren't given any agavins. They also had generally lower blood sugar levels, and were found to have the hormone GLP-1, which causes the stomach to feel fuller for longer. Although we're assuming this discovery probably comes slapped with a great big 'everything in moderation' disclaimer, we're still going to take it and run with it. We'll see you at the bar.